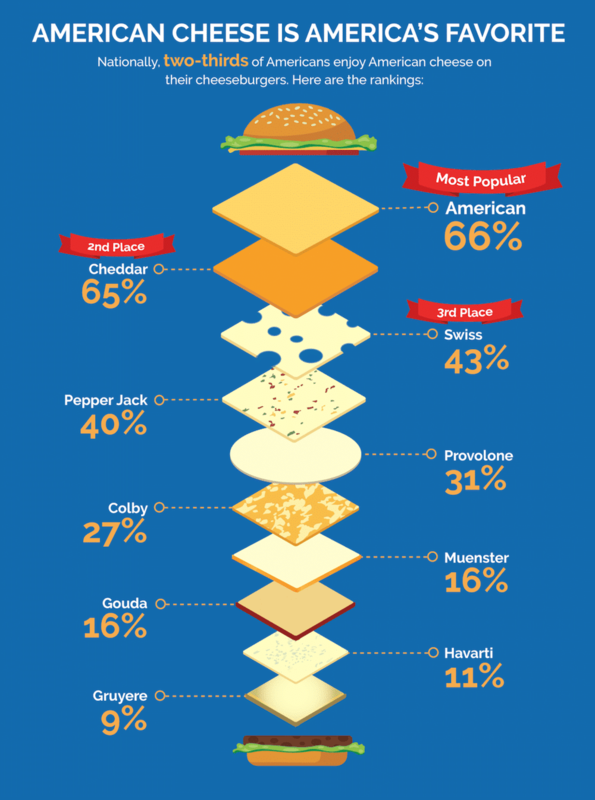 To conduct the study, we surveyed 2,000 Americans about their cheese preferences as related to cheeseburgers. The results are in and they are "grater" than you ever imagined. The Western U.S. ranked #1 for preferring burgers with cheddar (67%), with the South coming in at a close second (63%). New York has 39% pepper jack cheese lovers, while New Jersey has 21%. 11% of women prefer gouda, versus 23% of men. 'Gouda' job, guys! Find out what holiday is today at NationalToday.com!